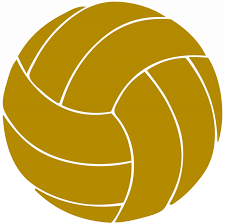 Penn’s Varsity, Junior Varsity and Freshmen volleyball teams swept South Bend Washington on Tuesday, Sept. 20. Penn’s Varsity beat Washington, 25-11, 25-7, 25-8. Italia Fields led the Kingsmen effort with 8 kills. Maddy Wiseman had 7 kills. Sophia Cruz had 9 digs. Penn is 17-1. The Kingsmen play at Northern Lakes Conference power Elkhart Memorial on Thursday. Penn’s Junior Varsity beat Washington, 25-6, 25-10. Rachel Rupert had 4 kills for the Kingsmen. Ryleigh Langwell had 7 digs. Natalie Nelson had 9 assists. The Kingsmen JV is 11-1. Penn defeated Washington, 25-8, 25-6, in the Freshmen match.